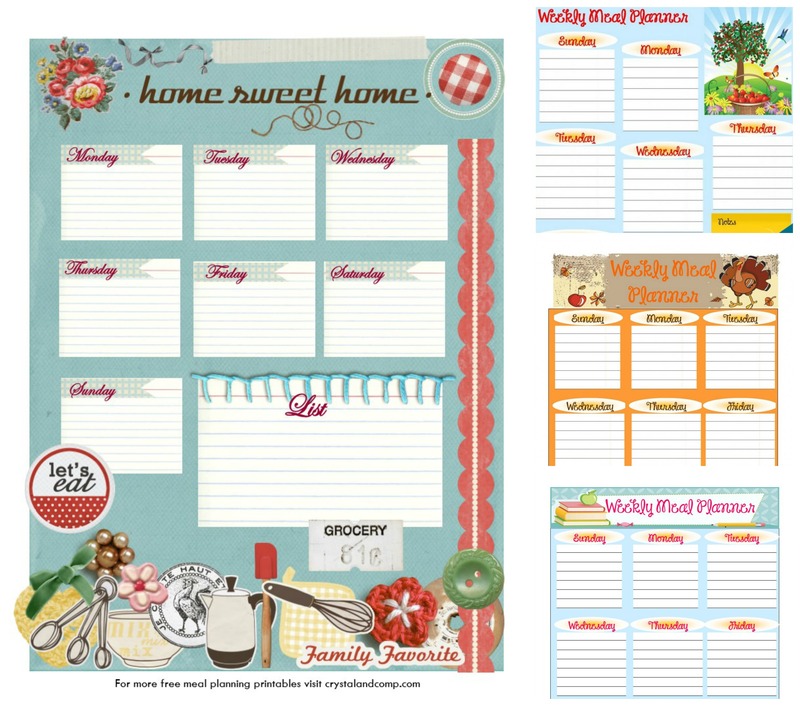 Meal planning is a great motivator for helping families get dinner on the table. Without a plan it is really hard to be effective. I have been meal planning for years. Honestly, it is the only way I make dinner happen. When I fail at meal planning we end up eating out. One of the best things to do is to write out your meal plan. Theses free printable meal planners are perfect for helping you get going. I have different themes for different times of the year. One thing you can do is laminate them so I can reuse them over and over again. Just use a dry erase marker to fill them out. If you do not have a laminating machine, or access to one, just print these out and write directly on them. Dedicate a specific day of the week for mapping out your plan. I typical do my meal planning on Sunday or Monday. Don’t forget to make a grocery list based off of your meal plan. Never go to the grocery story unprepared. This will result in over spending and forgetting items needed.